Watch What This Cat Does When He Visits The Hospital… This Is The SWEETEST Thing Ever!! This kitty is going for a trip to the hospital…but before you worry about the cat’s health, just wait until you hear the reason why! This is one special cat named Duke Ellington Morris. He’s a therapy cat who visits patients to cheer them up! Today, Duke Ellington is going for a trip to the intensive care unit, and when you see how happy he makes the patients and staff? Your heart will just melt…This kitty makes everyone happy! 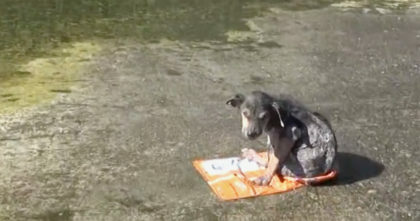 He is so relaxed and you can tell he enjoys his “job”. 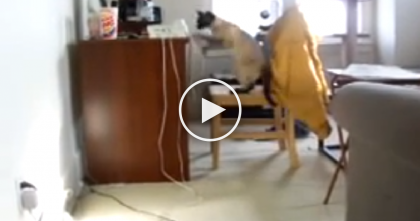 What an amazing kitty, he blesses so many lives!—SHARE this video with your friends online! 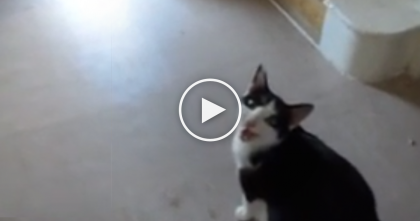 Cat Starts Meowing At Owner, But When She Follows Her… The Surprise She Gets, OMG!! 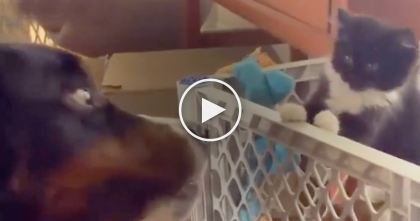 Kitten Meets Dog For First Time And Shows Him And It’s The Cutest Thing Ever… LOL, Just Watch! She Walked In To Feed The Kitten, But Watch What This Demanding Kitten Does… Omg!! She Dialed Her Own Phone To See What Her Cat Does, But Won’t Believe It… Hilarious! !